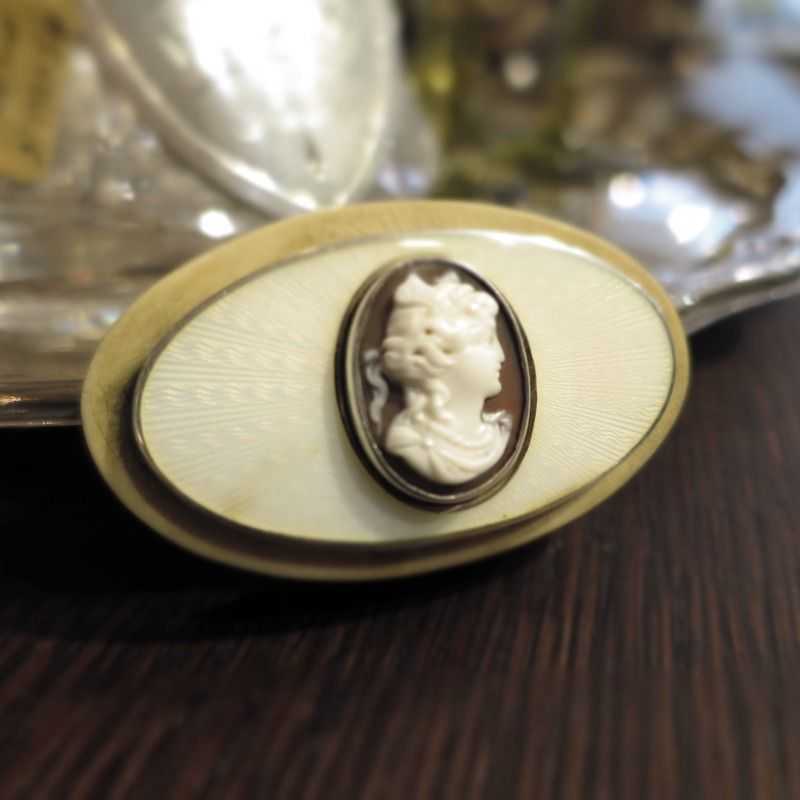 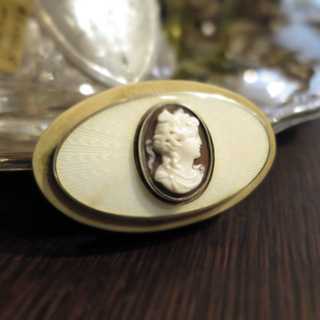 Antique luxury door bell with a cameo. 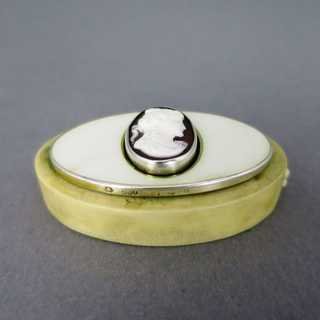 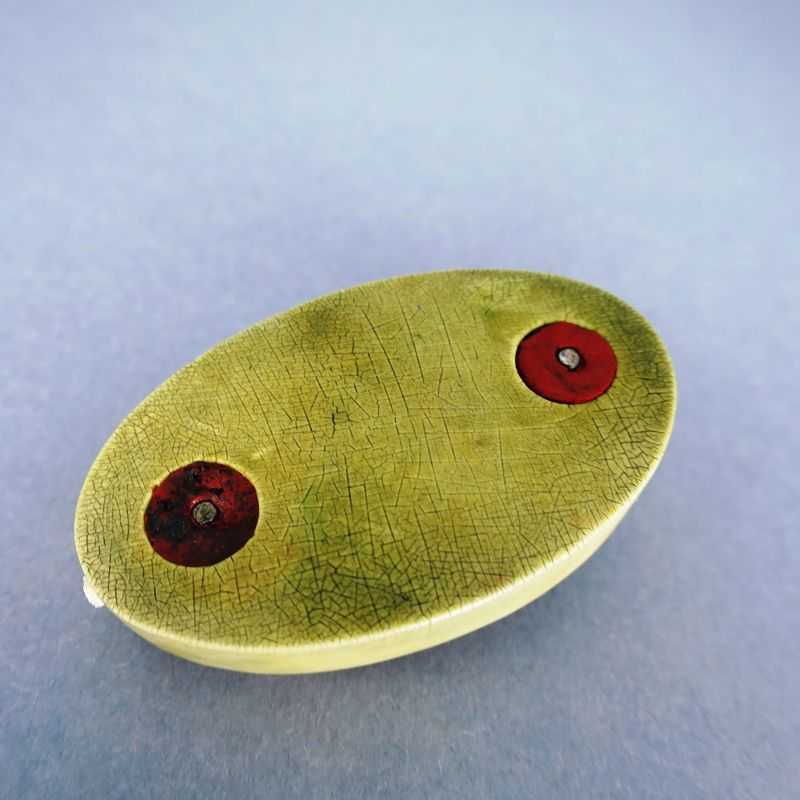 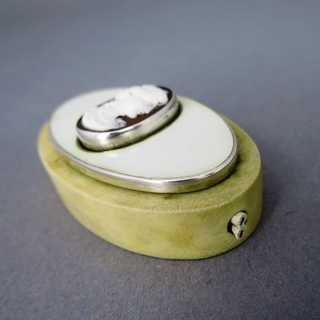 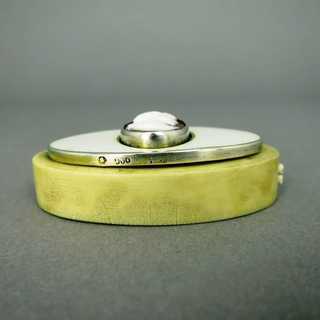 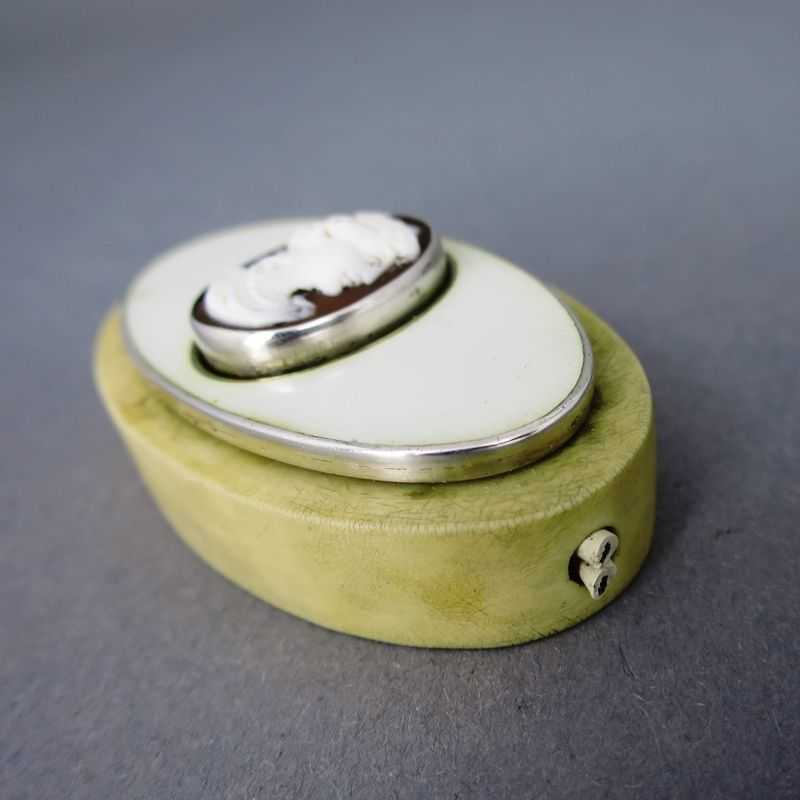 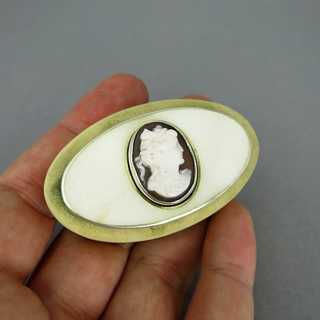 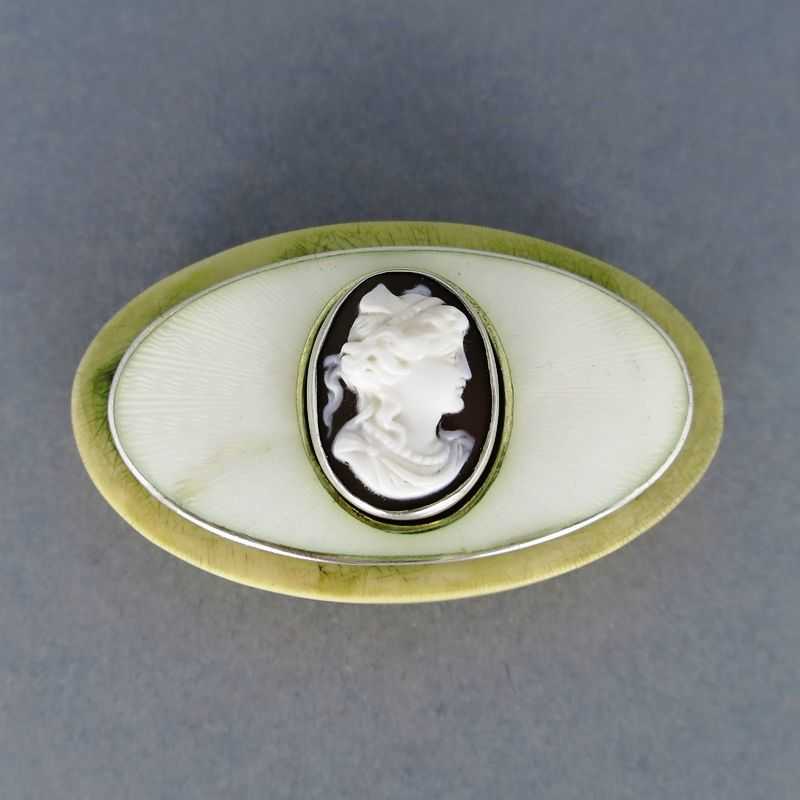 Oval shape, body made from ivory-colored bakelite, within a medalion in silver setting, covered with ivory-colored guilloche enamel. 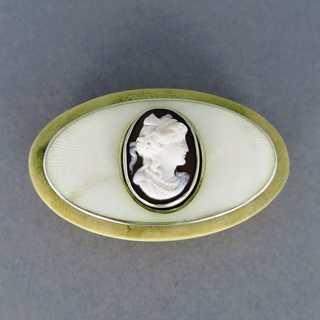 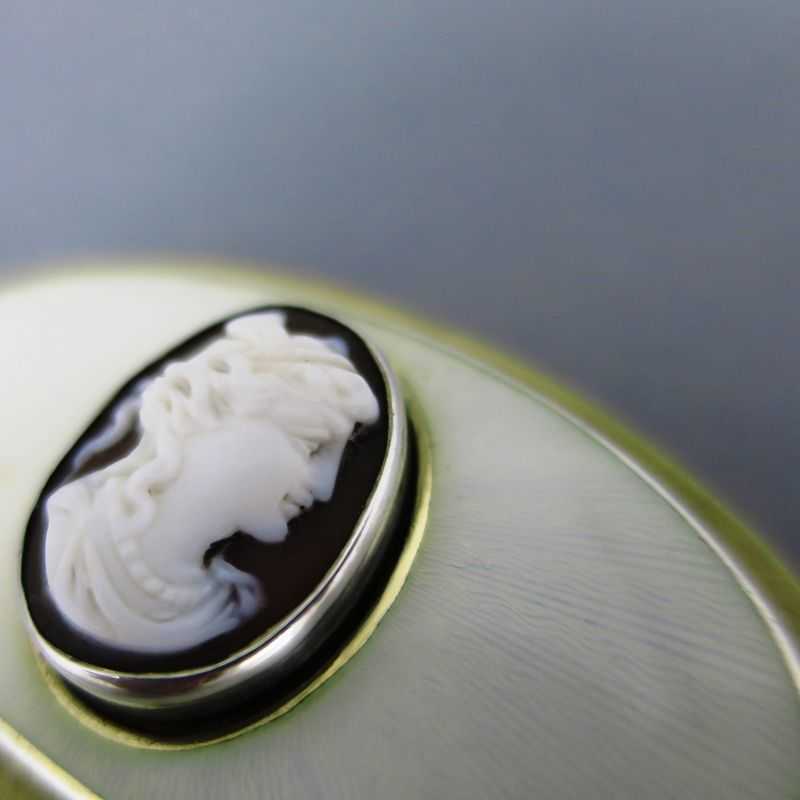 Button created from an oval cameo with woman head, mounted in silver bezel setting. 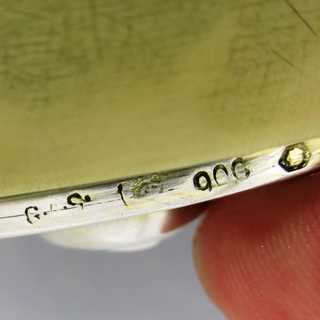 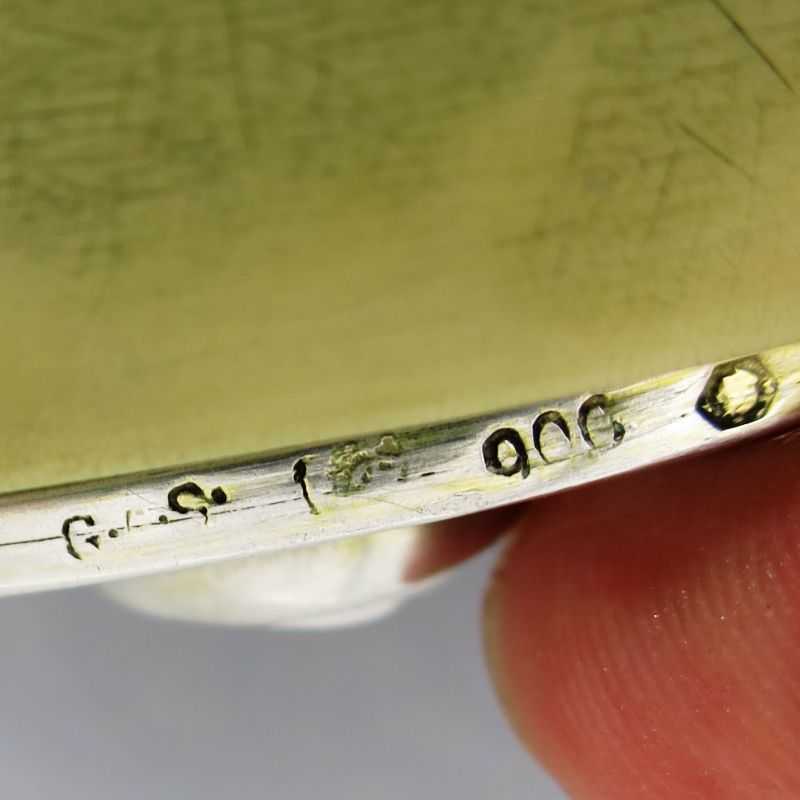 Silver marked, made by the famous german luxury silver manufactory of Geord Adam Scheid in Pforzheim, about 1915.